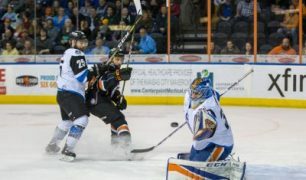 In his second season with the Wichita Thunder, forward Ralph Cuddemi is looking to have his best season as a professional as well as lead the Thunder to the Kelly Cup championship, goals that are non-negotiable for the star. 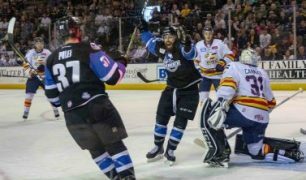 After four disappointing seasons of not making the playoffs, the Wichita Thunder finally broke the rut, advancing to the postseason in the ECHL for the first time. The 2017-18 season was clearly one to remember, as Head Coach Malcolm Cameron did an amazing job of building a team that recorded the most victories by a Thunder team in five years. The Chase for the Kelly Cup begins with a Round 1 matchup between the South Carolina Stingrays and the Orlando Solar Bears. 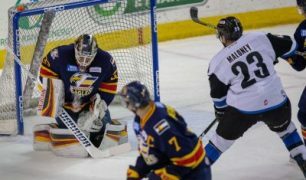 South Carolina finished second in the South Division and had the third-best record in the ECHL with 104 points. Orlando finished a distant third with 75 points. 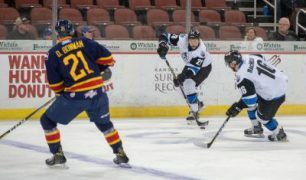 The Stingrays won the season series 7-3-0-1. 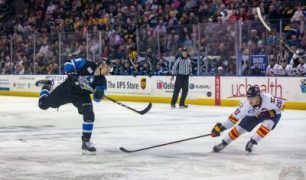 The Chase for the Kelly Cup begins with a Round 1 matchup between the Colorado Eagles and the Wichita Thunder. 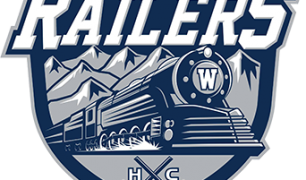 Colorado finished first in the ECHL’s Mountain Division, while Wichita finished fourth. The Eagles have the fourth best record overall (100 points), while the Thunder are 14th overall (76 points). 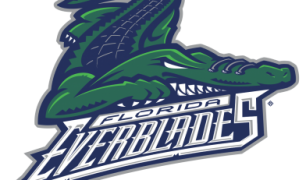 The Chase for the Kelly Cup begins with a Round 1 matchup between the Florida Everblades and the Atlanta Gladiators. 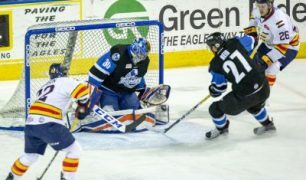 Florida had the top record in the ECHL, earning 112 points and was one of only two teams that had at least 50 wins this season. Atlanta enters the post-season as the team with the least amount of points (69) of any club in the playoffs. The Chase for the Kelly Cup begins with a Round 1 matchup between the Idaho Steelheads and the Allen Americans. 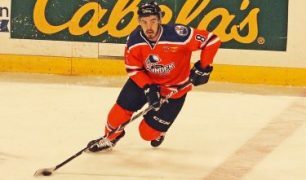 Idaho finished second in the Mountain Division with 96 points, while the Allen Americans finished third with 78. Idaho won the season series 5-3-1-1. The Chase for the Kelly Cup begins with a Round 1 matchup between the Toledo Walleyes and the Indy Fuel. Toledo finished first in the Central Division and had the second best record overall in the ECHL (105). 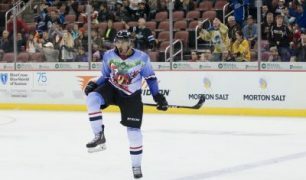 They were one of just two teams that recorded at least 50 wins this season (the Florida Everblades have 53). Indy finished fourth in the division. Toledo won the season series 8-1-0-0. The Chase for the Kelly Cup begins with a Round 1 matchup between the Manchester Monarchs and the Reading Royals. 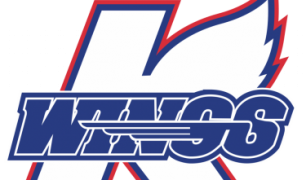 Manchester finished second in the North Division, just a point behind the Adirondack Thunder. 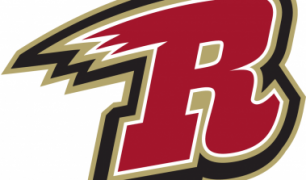 The Monarchs and Royals were separated in the standings by just one point, this despite the fact that Reading won the season series. 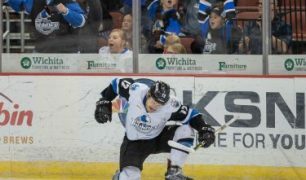 With the Wichita Thunder in a do-or-die situation to earn a place in the ECHL playoffs, it is all hands on deck for the team, and no one characterizes that attitude better than defenseman Travis Brown. The Thunder defenseman has not only brought skill and grit to the ice, but has helped to keep the atmosphere light in the locker room when tension reduction is needed most. 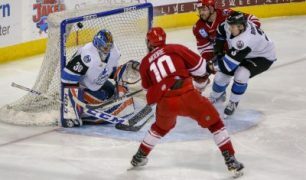 With the Allen Americans desperately needing a victory to keep their playoff hopes alive, the team got an outstanding performance from Jake Paterson, who stopped 32 shots to lead the Americans to a 4-1 win over the Wichita Thunder.